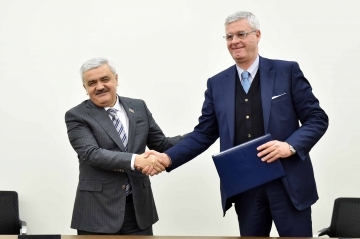 France’s contractor Technip has been awarded a service contract by state-owned Socar for a gas and petrochemical complex in Azerbaijan (GPC), the company announced January 4. The contract is for ethylene and cryomax technology licences respectively for a petrochemical complex and for the NGL (natural gas liquids) recovery section of a gas processing plant, which is part of a new gas and petrochemical complex in Garadagh 15 km south of Baku. The contract includes development of the plant and the engineering and design of all the process units included in the gas and petrochemical plant as well as the design of the related utilities and off-site facilities. The Garadagh complex will include a new gas processing plant with capacity of 10bn m³/yr, a steam cracker with an annual capacity of 610 metric tons (mt) of ethylene and 120 mt of propylene. The company’s operating centre in Rome, Italy, will carry out the contract, with work scheduled to be completed in the second half of the year. “This achievement consolidates also our long term relationship with a key client like Socar and at the same time reinforces our presence in Azerbaijan, considered a strategic market for Technip,” said regional boss Marco Villa. Socar signed licence agreements with Technip, Univation, Axens and China’s SinopecTech for GPC December 20, the company said. The agreements envisage advanced processing of natural gas and production of polymer products as a part of the GPC project. GPC will be financed within the China's Silk Road Economic Belt project. Socar GPC project envisages export of natural gas and gas condensate and finished goods to Turkey, western Europe, and China, the company said.